There are three very special letterpress workshops happening in the month of April at the School of Visual Concepts, Seattle. We are now at 2300 7th Ave, just a few blocks south of our 40+ year South Lake Union home. All of these workshops are suitable for seasoned letterpress printers who would like to expand their repertoire of techniques in a hands-on format. Please help us spread the word! Learning all there is to know about ink will take you a lifetime. But you’ll be surprised how much you can discover in a day, when you have Jules Remedios Faye drawing on her 40 years of letterpress experience to guide you through the magic of ink on paper. Allowing plenty of time for experimentation and practice, we’ll cover layering inks, ink additives such as stiffeners, tack reducers, dryers, metallic powders and pastes, and the principles of translucency versus opacity. We’ll also look into and experiment with different inking techniques, such as the use of roller bearers, subtractive and additive inking, and applying ink with brayers, daubers, brushes, and stencils. You’re welcome to take this workshop as a stand-alone, or for an even richer experience, consider taking it and Alternative Printing Surfaces for a weekend that is sure to inspire and inform your printing for years to come. 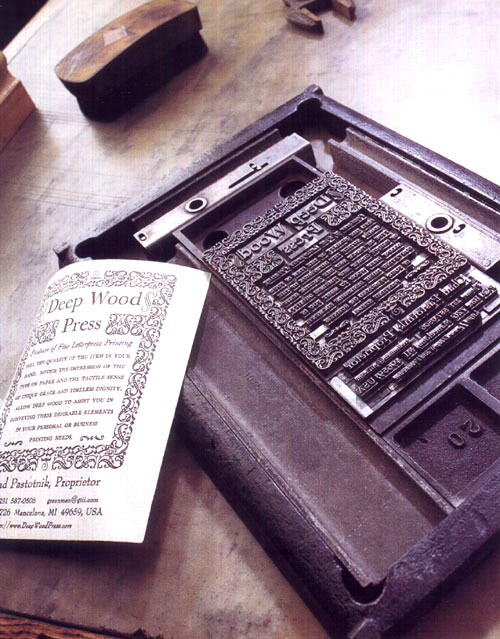 Join Carl Montford, wood engraver and iron handpress wizard, for two consecutive Saturday sessions in the letterpress studio. The first week, students will begin to create wood engraving illustrations for a collaborative book, a bestiary—a compendium of animals both real and legendary. On the second session, participants will team-print their finished engravings using SVC’s oldest letterpress, a 19th century Reliance iron handpress. Finally, participants will hand-bind the edition, and congratulate themselves for having created a book from start to finish. No drawing or printing expertise is necessary. Loaner engraving tools and all materials will be provided as well as a supply list should you wish to purchase your own engraving tools. Our meetings take place at ArtWorks in Edmonds, WA, on the second Tuesday of January, March, May, September and November at 7 PM. Friday, February 13, 2015 4:00 p.m.
presentation bindings in slip cases or boxes.